A bookshelf system that combines the utmost of design and functionality. 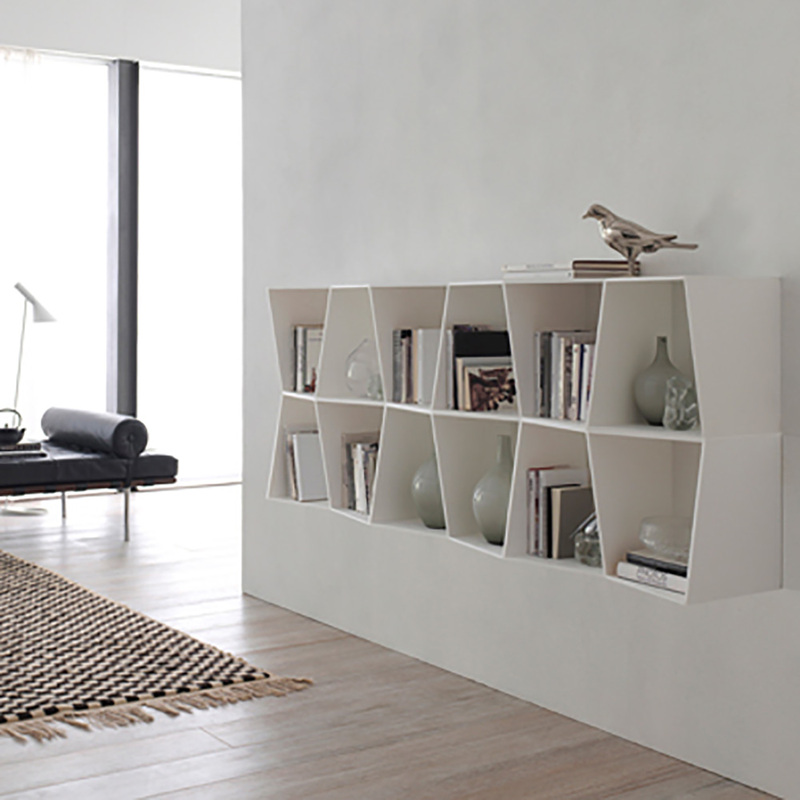 A minimalist product with a thin, wavy structure, both vertically and horizontally, gives an overall impression of being solid, yet lightweight.Wavy bookcase is composed of blocks that can be laid one upon another and combined. WAVY conceals any kind of joint, thus becoming a highly elegant furnishing element with an extremely formal linear nature. 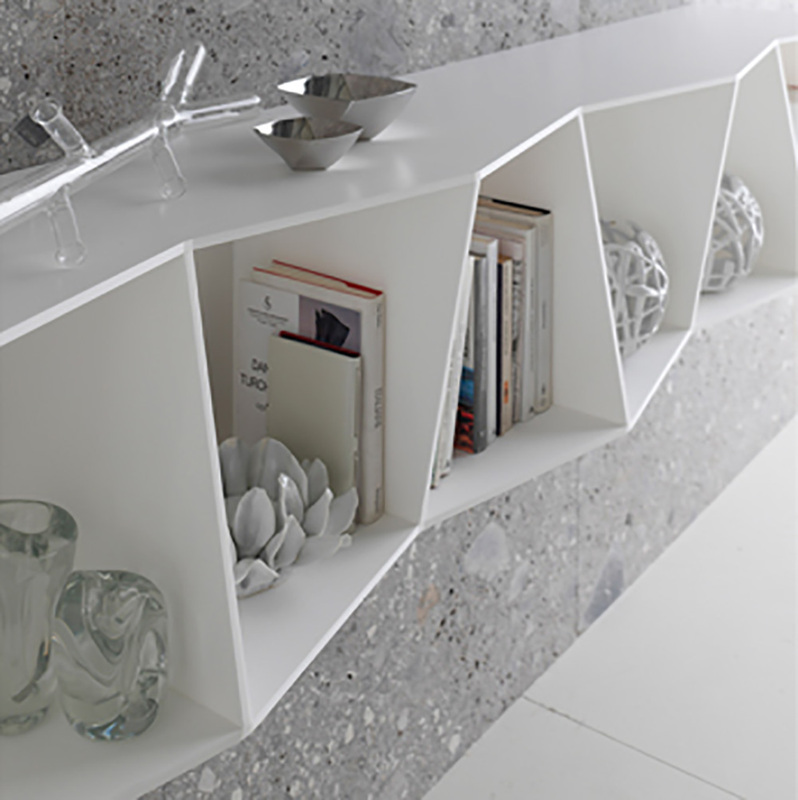 WAVY can be combined in a flexible manner for living solutions dedicated to the modern home. Made entirely from white acrylic stone.